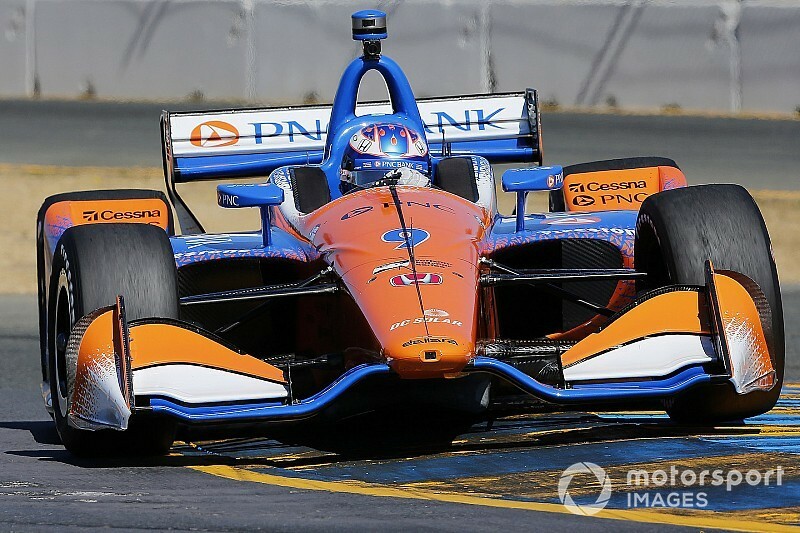 Ryan Hunter-Reay was in superlative form to clinch the last ever IndyCar race at Sonoma, but Scott Dixon clinched his fifth championship as title rival Alexander Rossi blew his chances at the start. 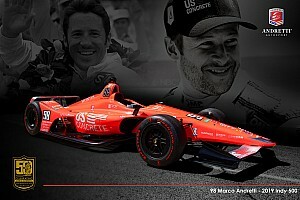 At the drop of the green, Andretti Autosport driver Rossi ran into the back of teammate Marco Andretti at Turn 1, breaking his front wing and puncturing his right-front and having to limp his car around, via the escape road at Turn 4, and falling to the back of the field. Meanwhile, poleman Hunter-Reay was flawless at the start, taking the lead ahead of Dixon, followed by Josef Newgarden’s Team Penske-Chevrolet, Andretti, Harding Racing-Chevy’s sensational debutant Pato O'Ward and Graham Rahal, who’d jumped ahead of both of Penske’s other drivers, Will Power and Simon Pagenaud. Pagenaud had also lost a spot to Sebastien Bourdais’ Dale Coyne Racing-with Vasser Sullivan Honda. The big mover in the early laps was Tony Kanaan’s AJ Foyt Racing-Chevrolet, up from 18th on the grid to 13th. By Lap 7, Hunter-Reay’s lead over Dixon was 2sec, with Newgarden a further 2.8 back, Andretti 2.5 behind that, with O’Ward having to soak up big pressure from Rahal who in turn had Power, Bourdais, Takuma Sato (RLLR) and Pagenaud breathing his exhaust fumes. At this point, Rossi was 61sec adrift. Finally the dam broke, Rahal stumbling over a slowing O’Ward, and Power sneaking past the pair of them into fifth exiting Turn 11. O’Ward was struggling with his tires and he plummeted down the order. Pagenaud pitted early, as did O’Ward’s Harding teammate and fellow debutant Colton Herta and Schmidt Peterson Motorsports’ James Hinchcliffe. Rahal, Ed Jones and O’Ward stopped for more reds on Lap 14, while Pagenaud on his fresh rubber set his fastest lap of the race. Andretti stopped on 15, Hunter-Reay and Dixon pitted on Lap 16, leaving Penske running 1-2 thanks to Newgarden and Power, now running five laps apart. Meanwhile Sato’s season ended with a blown engine. Newgarden stopped a lap later but stalled. Power stopped on Lap 17 but the tactic of running long hadn’t (yet) worked. Pagenaud’s fast laps on fresh reds had catapulted him into third place ahead of Andretti, Rahal – who’d also made his earlier stop pay off – and Power. Hunter-Reay’s switch to the black primaries saw him retain his lead but Dixon was starting to chisel into it, getting it down to little more than 1.5sec. Meanwhile Andretti was within one second of Pagenaud and Power was a similar distance behind Rahal. Still 53sec back off the lead, Rossi made his second stop on Lap 25 and fell a lap behind Hunter-Reay and Dixon, although Rossi closed in on his championship rival. Lap 27 saw Power exit Turn 9a on Rahal’s tail and slip down the inside of the RLLR driver at Turn 11 to take fifth. Immediately the Penske driver dropped him and closed in on the Pagenaud vs. Andretti battle. Bourdais passed Rahal for sixth on Lap 33. Pagenaud pitted from third on Lap 35, and Power redoubled his efforts to close on Andretti but fell 2sec behind next time by. Up front, meanwhile Dixon did the smart thing and let Rossi unlap himself. Rahal and Newgarden made their second stops on Lap 36, Andretti on 37, elevating Power and Bourdais to third and fourth, 14s and 19sec behind Hunter-Reay respectively. These lead four all stopped on Lap 39, all except Dixon taking primary tires. Next time by, just before the half-distance mark in this 85-lap race, Hunter-Reay led Dixon by 5.4sec, with Pagenaud (also on primary blacks) in third, still ahead of Andretti, Power, Bourdais, Newgarden and Rahal. 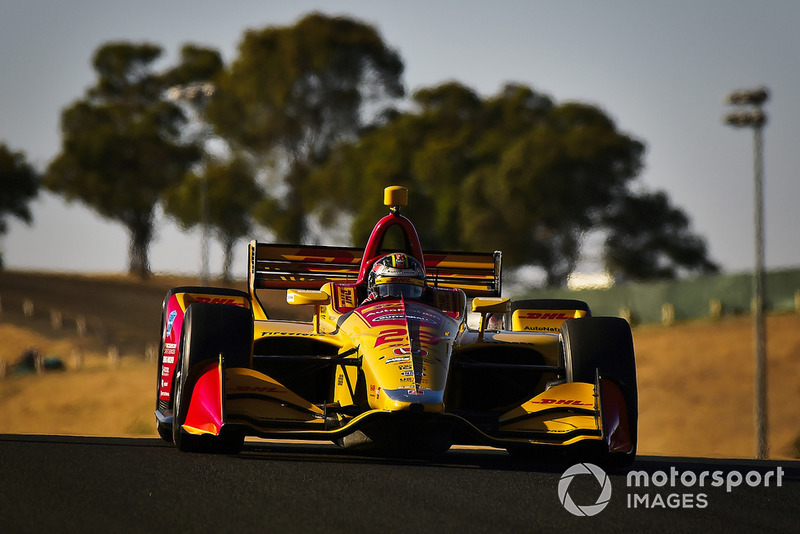 Dixon set a searing 1min19.8646sec lap at a time when only a couple of other drivers had broken into the 1min20s, and within a couple of laps he’d halved his deficit to Hunter-Reay. A full-course yellow caused by Rahal stopping on the exit of Turn 6 on Lap 42 (completing RLLR-Honda’s miserable day) came just after Rossi made another stop and emerged ahead of Hunter-Reay, so Rossi was back on the lead lap. Strategist Rob Edwards felt this was a good time to get his man back on red tires. Up at the front, his teammate Hunter-Reay was going to have an interesting restart on blacks, with Dixon on reds, while Chilton could prove an obstacle for Pagenaud as he attempted to hold off Andretti. With the restart zone coming before the Turn 11 hairpin, there was a mess toward the back as Jones made a brave move into seventh, and Newgarden got elbowed back to 11th by Hinchcliffe, but the frontrunners behaved themselves. Power dived down the inside of Andretti on Lap 51 to grab fourth, but Rossi was on a bigger charge, muscling his way up to ninth just a couple of laps after the restart, as the cars ahead of him slowed up and tangled with each other. On Lap 53, Kanaan waved him through at Turn 7, and a lap later Jones conceded seventh place to the Andretti Autosport title aspirant. 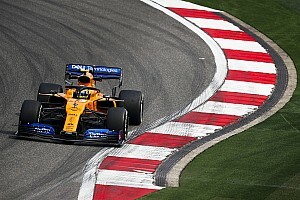 Rossi could make no more progress, and pitted on Lap 59, and Dixon pitted next time by just to cover his title rival in case a yellow turned the order inside out and left Rossi at the front and Dixon in midfield. Dixon’s stop was fast and he crucially pulled five seconds on Rossi. Andretti and Pagenaud stopped on consecutive laps, as did leader Hunter-Reay. Power pitted from his temporary lead on Lap 62, handing the lead back to Hunter-Reay. Power would emerge ahead of Pagenaud and now primary-tired Rossi, but 4.3sec behind primary-tired Dixon and 8.1 behind Hunter-Reay. The 2014 champion started altering those figures, dropping Pagenaud and closing to within 1.5sec of Dixon within 5 laps. Once he got within one second of Dixon, the soon-to-be-crowned five-time champion kept his pursuer at arms length with push to pass. 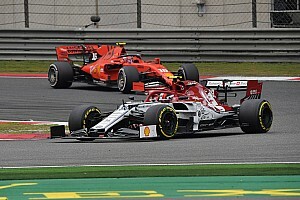 Behind fourth-placed Pagenaud, Andretti got around Rossi for fifth, his reds apparently working better with the rubbered-in track than Rossi’s blacks. Into the final five laps, the dominant Hunter-Reay kept his lead on Dixon at just over four seconds as Power tried again to close in on the Chip Ganassi Racing driver, and Pagenaud closed on the pair of them. There was no real opening for the Penske drivers. Dixon kept his cool, finishing 2.7sec behind the chilled and thrilled Hunter-Reay, with Power and Pagenaud in line astern in third and fourth, and Andretti fifth. 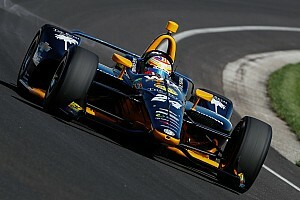 Bourdais clinched sixth by passing Rossi a couple of laps from home as Alex struggled on low fuel. Newgarden finished eighth ahead of star debutant O’Ward, Jones, Santino Ferrucci and Tony Kanaan. 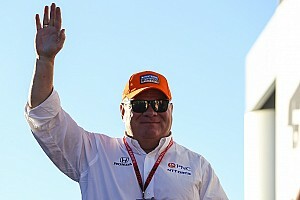 Dixon’s fifth championship – and Ganassi’s 12th – elevates him to second in the all time Indy car stats, behind only AJ Foyt (seven titles). Hunter-Reay’s 18th Indy car career win also lifted him to fourth in the title race. The final points standings are: 1. Dixon 678, 2. 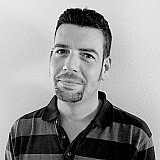 Rossi 621, 3. Power 582, 4. Hunter-Reay 566, 5. Newgarden 560.